Home Website Blog And Others How to create a Blog on blogger? How to create a Blog on blogger? Blog is a regularly updated website or web page which is run by an individual or small group. So, many people want to create a blog to share their knowledge, information and others. Blog is written in conversation style or as an article. But many of us don't know how to create a blog so today we are going to describe about How to create a blog. There are many platform which gives us place to create blog with their subdomain name for free. Here we are going to share How to Create a Blog on blogger. 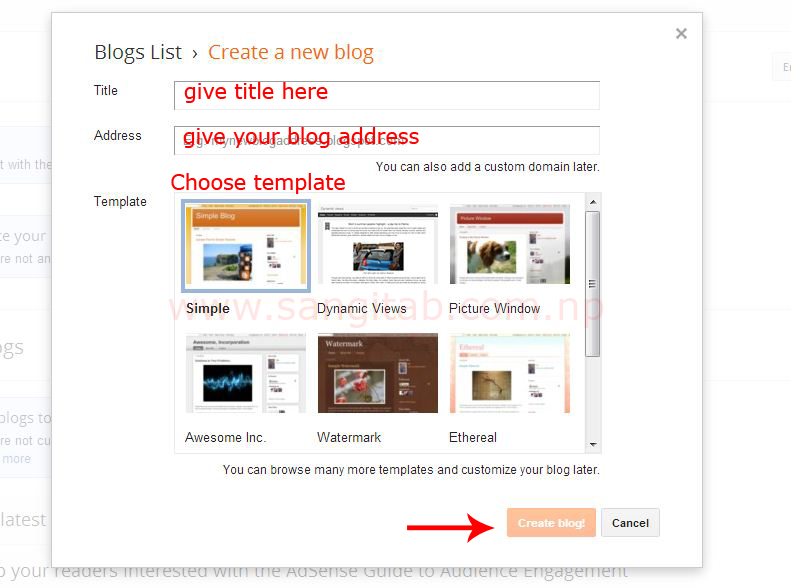 - You need google account to create a blog on blogger. Create google account if you haven't. - Go to Blogger.com and login with your google account. - Click Continue to blogger. - You will see Blogger Dashboard. - Click on New Blog. 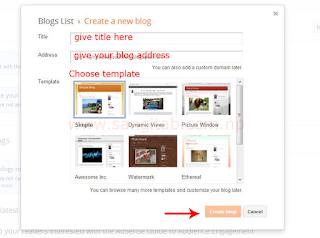 - Give Title and address for your blog and choose Template. - Then click on Create Blog Button. - Now your blog is ready with subdomain name blogspot.com. You can customize your template as you required from the template and layout.